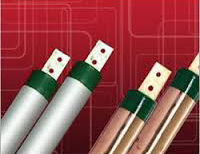 M/s Earthink Electrodes for earthing solution was established in year 2014. The company has employees and experienced people ensuring of quality and the best earthing resistence provided. We offer range of earthing services from supply, instalation, testing with satisfactory results. We undertake challenging jobs in regards with earthing issues. from the client.